The biggest advantage of our apartment is the unique and excellent view of the Baltic Sea. I think the view can meet the expectations of even the most demanding guests. The quite hum of the sea, its view and the sea breeze are all we need after a busy year full of work. 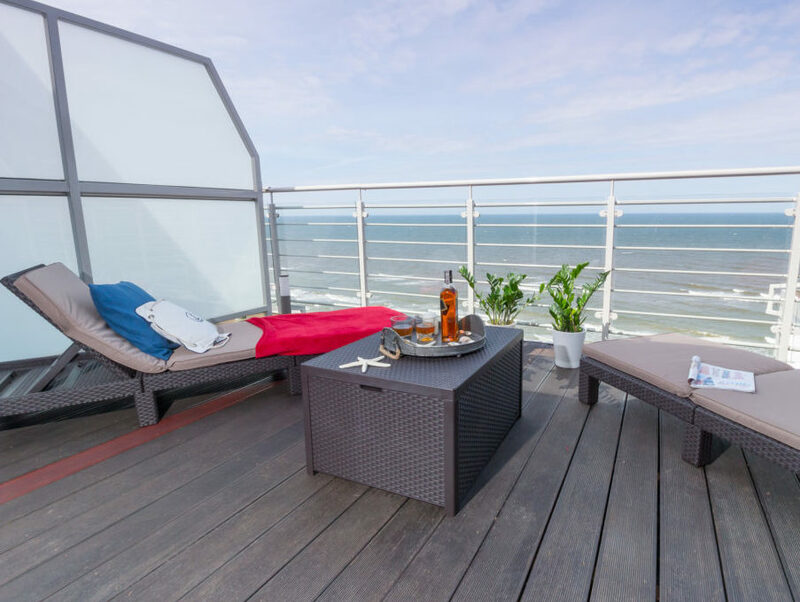 They can be found at our apartment and on two separate balconies with the adorable and calming view of our Polish sea. is long, sandy, just as a Polish beach should be. It should be noted, that Polish seas are famous for its “SPECIAL”, delicate sand that is the subject of longing for so many of us throughout the year. A long and wide beach stretches from the exit to the beach leading towards Pobierowo, where calm, silence and a “fairytale scenery” straight from the tropical lands can be truly experienced. Sand carved masterfully by wind is enchanting, creating a true vision of the Sahara Desert. can lead us through forests both towards Pobierowo, via Łukęcin, as well as towards Dziwnów. The forest climate, full of calm and beautiful, green plants improves our mood and provides a space for peace of mind. 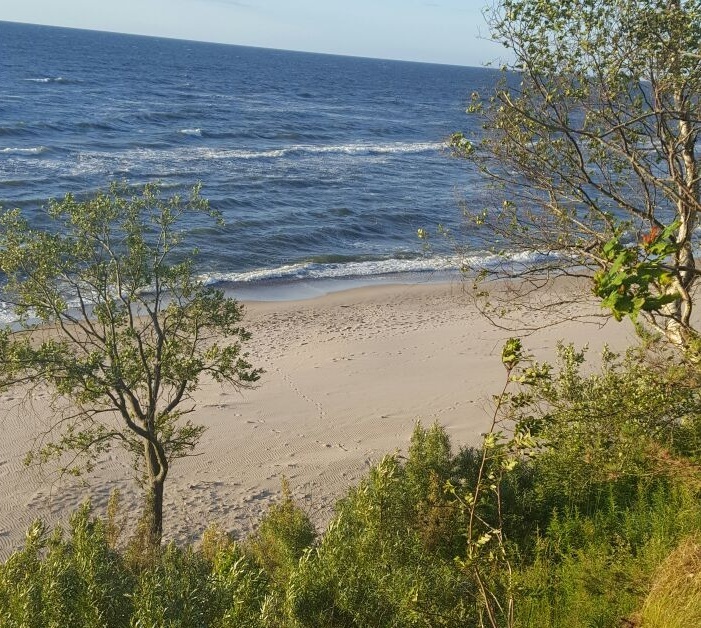 The beautiful cycling route leading towards Pobierowo along the coast of the Baltic Sea can enchant everyone with their spell. There are several viewing spots with a bench or perfect for a reclining chair, where we can adore beautiful sunsets. This incredibly green park welcomes us with dioramas of lighthouses from the Polish coast in a 1:10 scale and wonderful replicas of engines, steam engines and railway carriages. The tallest diorama of Świnoujście lighthouse stands at 6.48m, whilst the shortest one (Jastarnia) is shorter than an average adult. It is a recommended place for families with children. A fantastic fun time for everyone looking for attractions. Another excellent attraction for children and parents who do not want their children to be bored during summer holidays. The park is a great place, as it is not only a dinosaur park, but also an agility part intended for energetic kids. Climbing walls, ropes and other attractions, where your child can spend all their energy and spend some interesting time. Here, we can watch majestic ships and yachts. The Dziwnów sea port is located on the sandspit of Dziwna Strait. During summer, the port offers its services and ship trips on the Baltic Sea. Lovers of tasty fish will find freshly caught fish sold in the port, and their taste will leave long-lasting holiday memories.